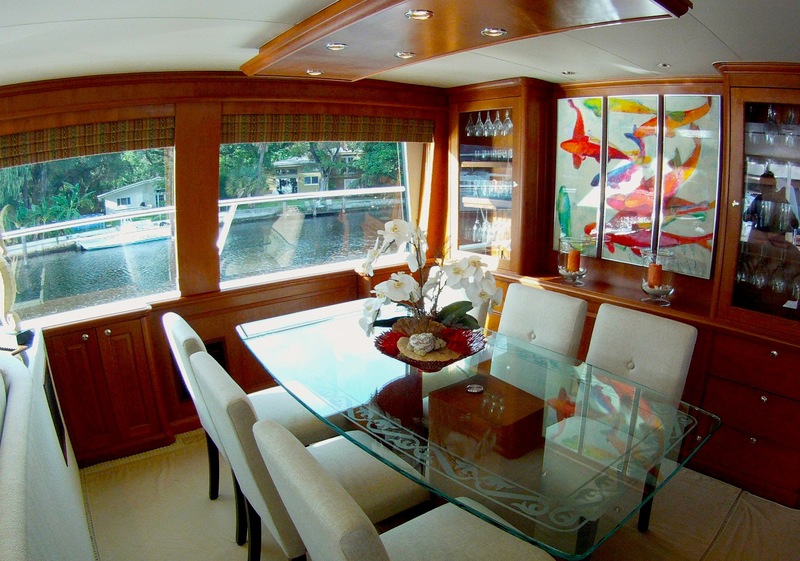 Luxury Motor Yacht REFLECTIONS (ex Surya) is an 85ft Pacific Mariner available for private charter Florida and the Bahamas. 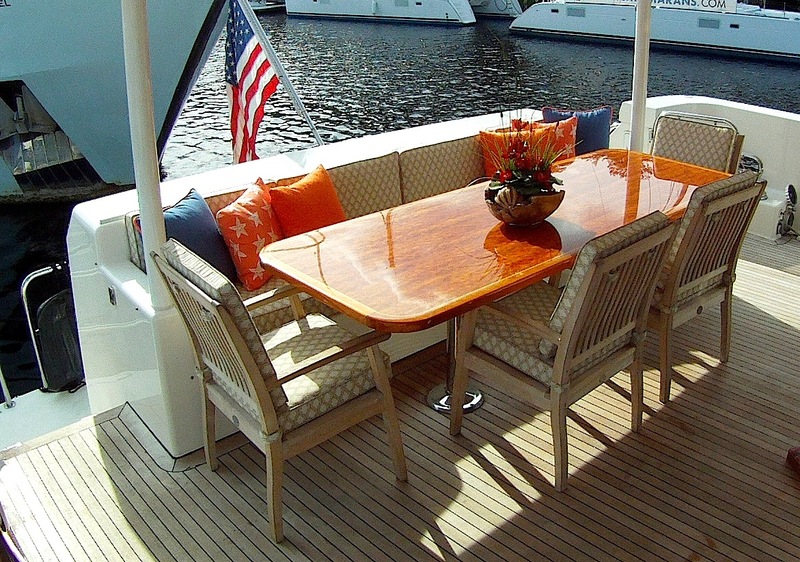 REFLECTIONS accommodates up to 8 guests in four private staterooms. 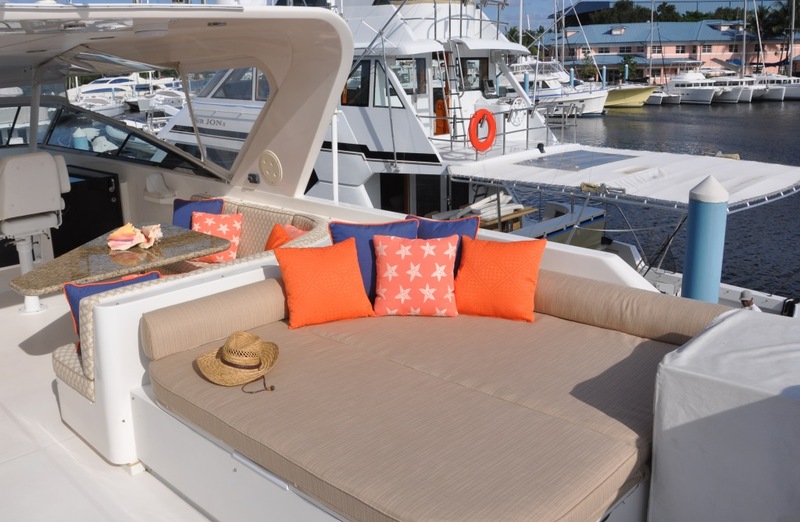 This stunning yacht has ample space to relax and unwind in comfort on both the interior and exterior of the yacht. As well have the four private staterooms, motor yacht REFLECTIONS also features an indoor formal dining area and a large comfortable salon with a plush lounge and a home theatre system with 50 inch Plasma television for relaxing in the evening. One of the true pleasures of a luxury private cruise is enjoying the gourmet meals prepared by your very own private chef. M/Y REFLECTIONS offers four separate dining locations so that you can change your view and the ambience at your convenience. 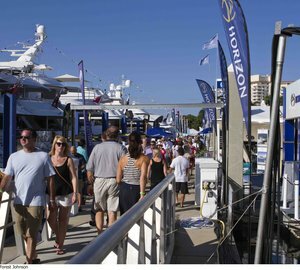 The Pilot house, the main salon, the aft deck and the fly bridge all offer tables to accommodate your group. Yacht REFLECTIONS (ex Surya) has four comfortable staterooms including a full beam master cabin with private ensuite bathroom. The other guest cabins include two more doubles and one twin, all with their own private ensuite bathrooms and entertainment centre’s. REFLECTIONS is perfect for families, couples and honeymooners and groups of friends with some singles. 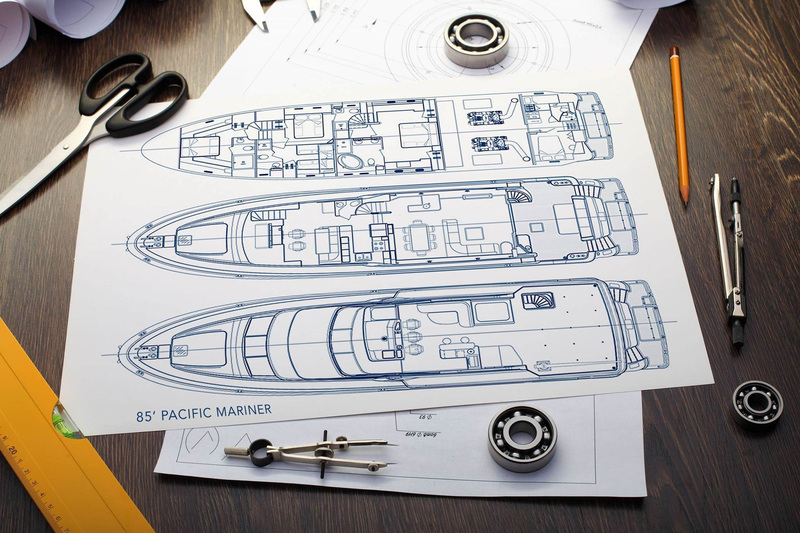 The REFLECTIONS motor yacht comes with a crew of four to ensure that you want for nothing and are pampered for your entire stay on board. The Captain, a private chef, a deck hand and a stewardess will be on hand to ensure REFLECTIONS is perfectly presented and your luxury vacation exceeds your expectations. Whether you just want to chill out and do nothing or have an action packed vacation, the REFLECTIONS yacht and her crew can deliver an unforgettable experience in the Bahamas at a very reasonable price. 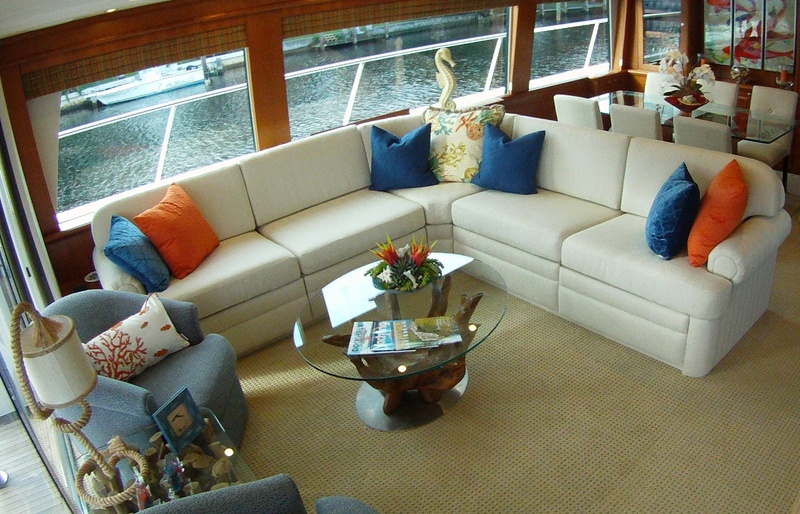 REFLECTIONS (ex Surya) has a full-beam Master Suite which is located amidships and features a private entrance. The Master ensuite bathroom includes an oversized Spa Pool tub and full shower. The three additional guest staterooms include two queens and one twin, each includes an entertainment center and private bathroom with shower. REFLECTIONS also features a large spacious salon with separate dining area and a pilot house, as well has aft deck, foredeck and fly-bridge.